March 27, 2016 ~ Trevis Dampier Sr.
Before I got to know Jesus, I didn’t know what Easter meant so I thought I’d share that with you. So Good Friday was when Jesus was hung on the cross to take our sins upon Himself that man wouldn’t have to receive the punishment of sin through God’s judgement. It’s a free gift that God gave us to declare His love for mankind. All you have to do is believe that Jesus did this for you and accept who He is and you can claim this ‘Get out if Jail’ free card. He was in the grave for 3 days taking our punishment in Hell until God the Father rose Him up from the grave. 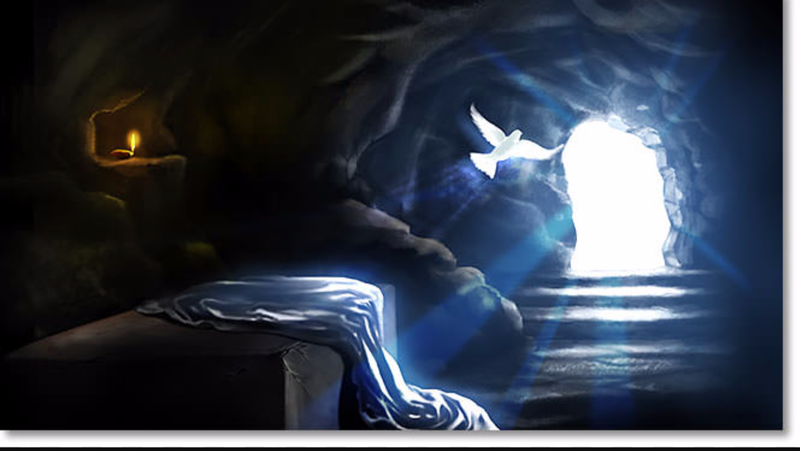 Today, represents Jesus rising from the grave that He foretold before His death. This event was more powerful than every miracle Jesus ever did because it seals the deal that eternal life is real and everything He stated while alive was true. 1Early on Sunday morning,a as the new day was dawning, Mary Magdalene and the other Mary went out to visit the tomb. 2Suddenly there was a great earthquake! For an angel of the Lord came down from heaven, rolled aside the stone, and sat on it.3His face shone like lightning, and his clothing was as white as snow. 4The guards shook with fear when they saw him, and they fell into a dead faint. < Previous We Welcome Good Friday in Remembrance of Him!